Today's mani is one that I recently did for a twin mani day in a nail group I am in. We decided on Color Club Eternal Beauty and Zoya Stevie. Instead of the usual accent nail of just ring, we did ring and thumb. This turned out even more beautiful than I even hoped. It was such a contrast with the holo and the texture. I did this Thursday night and I didn't even take it off until Monday. It held up really well. 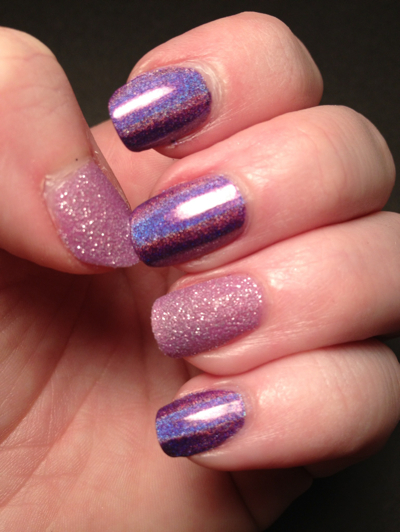 The Color Club holos wear like iron on me. 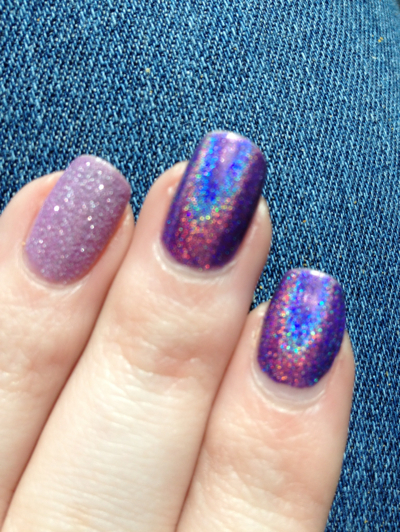 Which is so strange since holos generally chip so easily. You will see in my next post another example of a holo with extended wear time. Ring and thumb are two coats Stevie with no top coat, other nails are two coats with Glisten and Glow HK Girl topcoat. I used Rejuvacote as my base for all. 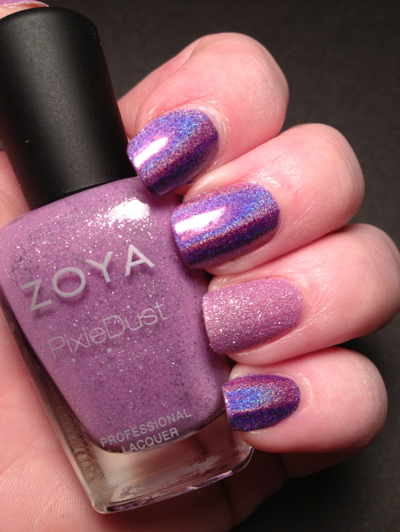 You can find Zoya online and at many retailers like Ulta. Color Club can be found online as well and at many beauty supply stores. What do YOU do for an accent nail? ?